Carlos was born in New York City and raised in Woodside, Queens. He relocated to Florida when he was stationed in Jacksonville while serving in the United States Navy. Carlos had always dreamed of moving to Florida when he was younger, and the Navy made it possible. 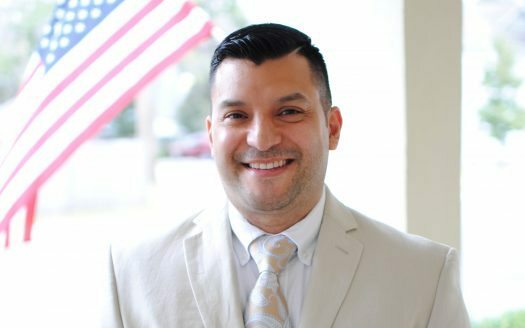 After honorable discharge from the Navy, Carlos graduated from the University of Central Florida with a bachelor’s of science in sports and exercise science with minors in physical training, coaching, and education. He is a former physical education teacher in the Osceola School District. As a past customer of Dream Builders Realty, Carlos and his wife experienced firsthand the value the DBR team brings to every transaction. During the sale of their home and construction of their new home, Dream Builders Realty’s broker, Tim Weisheyer, noticed the impact Carlos’ positive attitude and people skills could have on the company as a whole. Carlos became a natural addition to the team and takes on each task with exuberance and a willingness to do whatever is necessary to get the job done. Carlos currently works in an administrative support role while pursuing his real estate license to become one of the company’s Buyer Specialists. During his free time, Carlos enjoys being on the beach with the family and friends, and spends time volunteering with the Osceola County School District and Big Brothers Big Sisters.